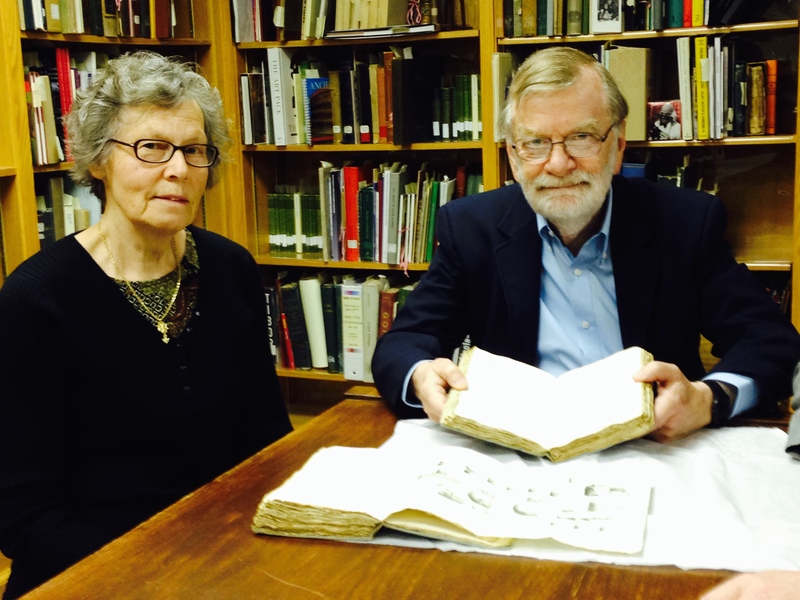 Scholes Library is anxious to display and preserve a bit of history and is currently seeking donations to protect and display a most wonderful gift. This past April, Scholes Library was honored to accept a donation of historic significance. The gift is a rare, 2 volume text titled “Traité Élémentaire de Chemie,” (Elementary Treatise of Chemistry) by Antoine Lavoisier (1793). This title is of particular historical importance for several reasons, including its widely recognized place as “the world’s first textbook in Chemistry.” Lavoisier is often referred to as “the father of modern chemistry” and is credited with developing the first experimentally based theory of the chemical reactivity of oxygen. Laviosier is also co-author of the modern system for naming chemical substances. The donors are Alfred alumnus Roger Eiss (’64) and his wife Francoise Bourget. A fuller story on this item donation and its history may be found here. Scholes Library takes great pride in this acquisition and has pledged to protect it, display it and make it available to researchers. To this end, the library has received a “matching gift” opportunity from an anonymous donor. Should the library be successful in securing donation of $1,200+ for this purpose, our donor will contribute an equal amount allowing for the purchase of an archival quality display case to preserve our newest treasure. A quality, environmentally protected casing will allow us to establish a permanent exhibition of the 2 volume set (and display its historically significant illustrations) within the Scholes Library Special Collections Area.